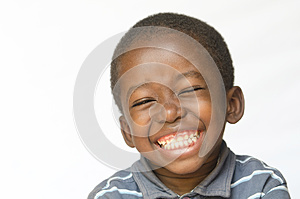 Huge Smile on a little African boy making a facial expression. Here he is laughing hard at the camera. Isolated on white.